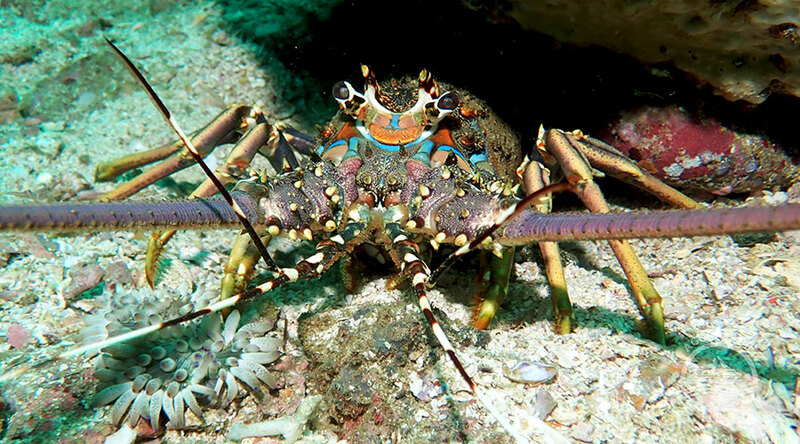 Highlights A truly magical itinerary for divers that love reef diving and abundant bio-diversity. From the smallest critters to dolphins and turtles, and even passing whalesharks, Oman's Daymaniyat islands will delight. 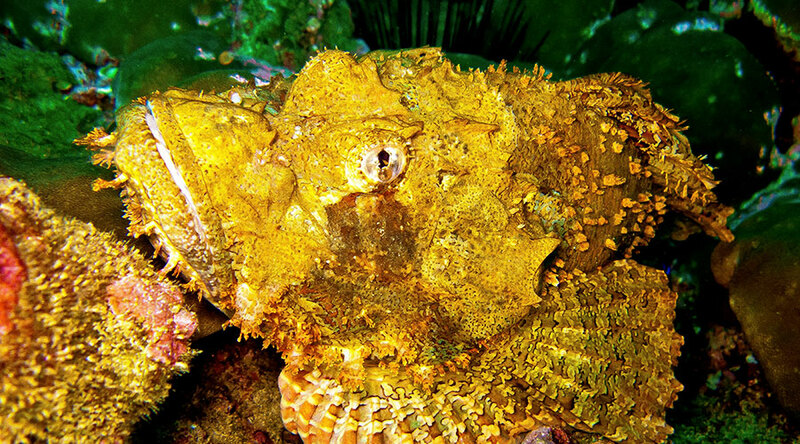 The Daymaniyat Islands are the jewels for diving in the Gulf of Oman. 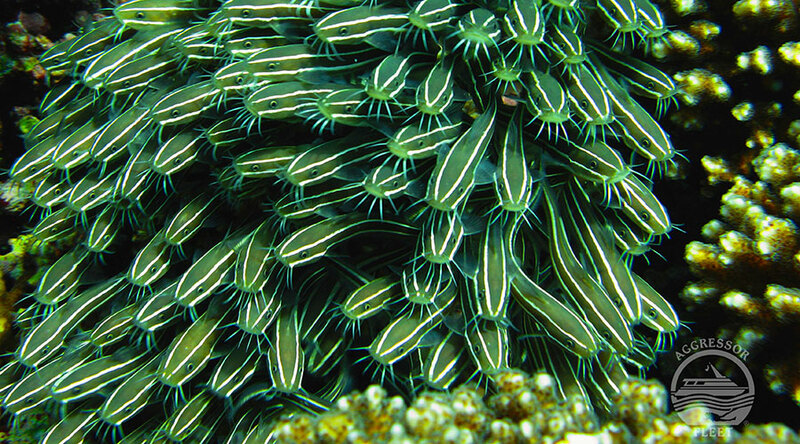 There are more than 100 different species of soft and hard coral, of which no less than 10% are unique to Oman's waters. This string of small, rocky islands north of Muscat are encircled with awesome coral reefs and overflowing with marine life - big and small. If you love reef diving, its time to discover this hidden gem. Underwater the Daymaniyat islands will not disappoint. The reefs themselves are beautiful, with hard and soft corals drenching the walls and sea bed. Nudibranchs and seahorses hide from prying eyes. 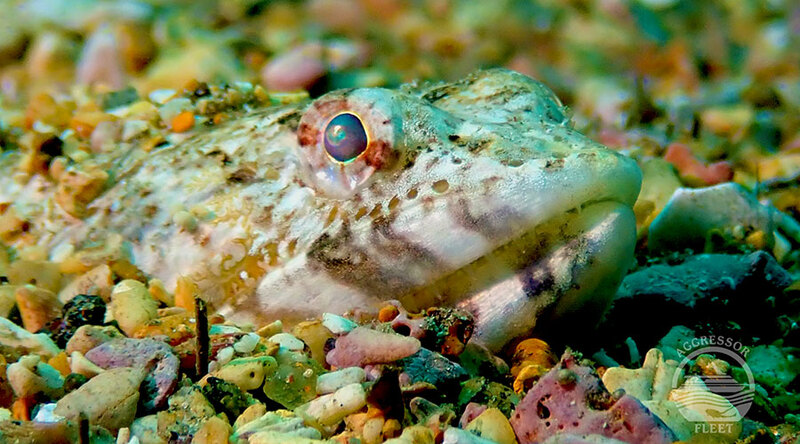 Look out for honeycomb morays, sting rays and leopard sharks. Loose yourself are jacks snapper and batfish swirl around you at the Aqaurium. The islands are a nature reserve and an important turtle nesting site, as well as a sanctuary for migrating birds. Divers regularly see both green sea turtles & hawksbill turtles around the Daymaniyat Islands. The summer months are the best time to see passing whalesharks, on their annual migrations. Bottle nose dolphins, spinner dolphins and even sometimes humpback whales can be encountered. This is a great itinerary for all experience levels, with dive ranging in depth. 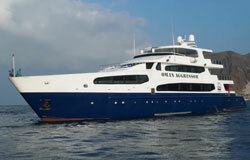 Most sites are relatively sheltered from strong currents and the diving is both from the main liveaboard and tenders. 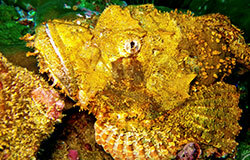 There are up to 5 dives a day, which includes night diving. Once you have been picked up from the airport you will be taken to the port to board your liveaboard. Embarkation is from 15:00 - 21:00, so you may have day use at a hotel if you flight arrives earlier. There will be a full welcome briefing on arrival and you can set your kit up. If you have prepaid any rental equipment this will be given to you on arrival. There is then your first dinner and you can settle in for the evening. A normal Daymaniyat Islands itinerary will dive at the following areas but the exact dive sites and order will vary week by week depending on what people enjoy, where the best sightings have been and reflect diver experience levels. The Pearl of the Daymaniyat Islands where you can see everything. 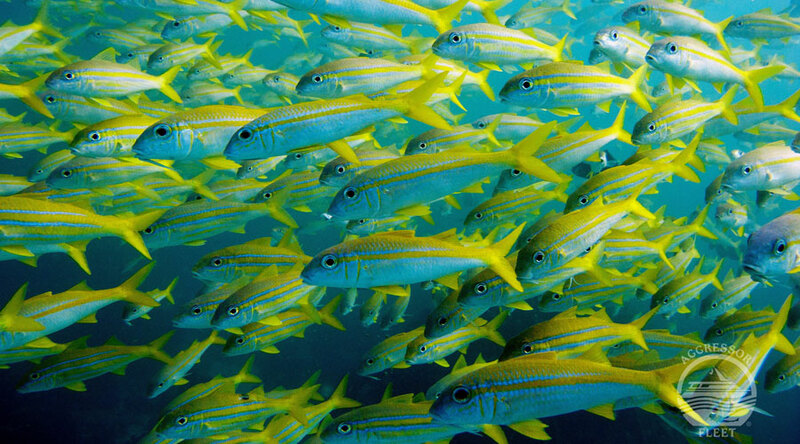 Fish in their thousands; schools of jacks, snappers, batfish, barracuda, red-toothed triggerfish. 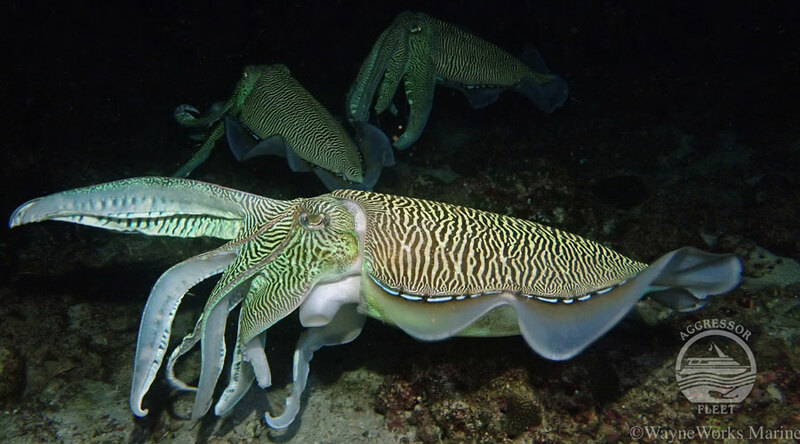 The variety of species is large; huge stingrays and eagle rays, turtles, leopard sharks, endless moray eels, scorpion fish, seahorses and numerous nudibranchs. Abundant soft corals, stingrays, moray eels, mola mola and sometimes leopard sharks pass by. An idyllic landscape with huge blocks spangled with soft orange, purple and yellow soft corals. A wall covered with purple soft corals sloping down to 65 feet / 20 m and numerous of overhangs. 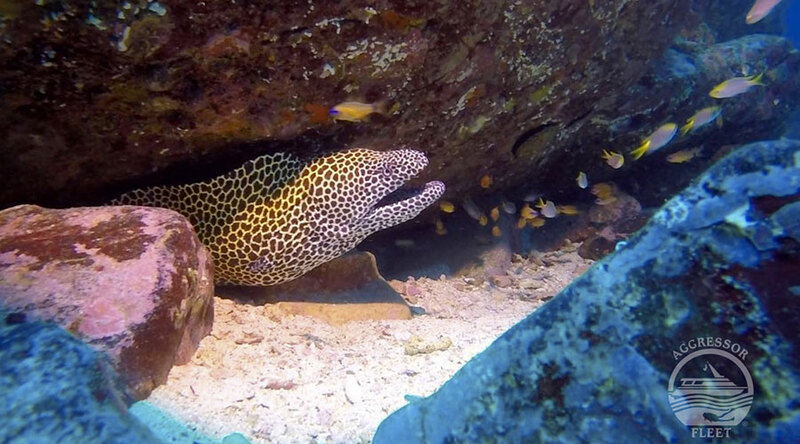 Honeycomb moray eels, stingrays, lion fish and numerous nudibranchs.